With nearly two decades of leadership in the nonprofit and social enterprise sector, Zoot Velasco, the new director of Mihaylo College’s Gianneschi Center for Nonprofit Research, seeks to expand the college’s outreach to local organizations and provide an on-campus hub for innovation for Southern California public good and social enterprise entities. When Zoot Velasco looks at American nonprofits, he sees a sector that is struggling, in spite of limitless potential for innovation and impact. Noting that 22.3% of the country’s GDP is in the nonprofit sector, yet only 20% of such organizations have a budget exceeding $1 million, Velasco hopes to lead a transformation in the industry. “The 20% of successful organizations have figured out what works, while the 80% have not, and what works for the top 20% doesn’t necessarily work for the 80%,” he says. 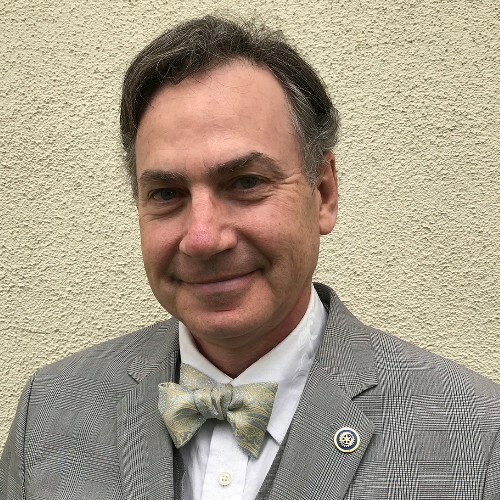 With a focus on consulting, Velasco has served as interim CEO of six organizations and CEO of Fullerton’s Muckenthaler Cultural Center, which was deep in debt when he arrived in 2007 and had a budget of only $430,000. Today, the North Orange County icon has a budget of $1.6 million and more than 40,000 patrons annually, and is implementing a $12 million capital campaign, along with a robust internship program serving 60 students from seven universities annually, including some from Cal State Fullerton. Velasco’s cleverly-named podcast, 501(c)(3)(b)(s) (get it? ), offers commentary on some of the common myths and misconceptions people have about the social sector, each episode dealing with a different issue. It is available on any podcast streaming app. In recent years, Velasco has consulted with clients ranging from domestic violence shelters to library foundations, and assisted prison inmates in preparing for their successful reintegration to professional careers. “I work with prisoners to help them tell the stories about their lives that will better help them with potential employers,” he says. The alumnus of St. Mary’s College of California and Hope International University has also taught courses in leadership, marketing and entrepreneurship at Cal Poly Pomona and Cal State Long Beach. Beginning in fall 2018, Velasco will teach undergraduate coursework in marketing and business etiquette at Mihaylo College. Looking ahead to his directorship at Mihaylo College’s Gianneschi Center, Velasco hopes to build a strong connection with millennials, who are likely to lead in the industry’s future. With compensation comparable to that of for-profit companies, and better benefit package values in many cases, Velasco says the future is bright for young people who want to devote their careers to making a positive impact on the lives of others. Velasco hopes to develop a social enterprise program to equip students to succeed in creating and launching business and philanthropic concepts with a positive impact. This August, the Gianneschi Center will host the G3X Conference, which will feature leading speakers who will equip attendees to grow the social sector and lead in philanthropic endeavors. Attendees will have the opportunity to network with fellow industry professionals and learn from dynamic and accomplished speakers in an atmosphere more reminiscent of a TED Talk conference than a boot camp. The name for the conference is based on Velasco’s three X’s that characterize the organizations that follow the best practices in the field: exciting and excellent exempt organizations. The terminology is based on the IRS classification of such entities as public benefit exempt organizations. Among the highlights of the weeklong conference, which will run from Aug. 13 to 17, will be keynote addresses by Jan Masaoka, CEO of the California Association of Nonprofits and a bestselling author and former editor of the Blue Avocado, and Paul Chappell, a West Point grad, captain and Iraq War veteran now devoted to the cause of world peace as director of the Nuclear Age Peace Foundation. Another must-see will be a talk and performance by Sean Oliu, a 16-year-old musically-inclined Anaheim resident and new Disney Channel star who has started a charity to bring music education to Orange County schools. G3X Membership will not only provide full access to the conference but also eight monthly special trainings throughout the year, with lectures by Velasco and others covering topics such as fund development and marketing technology, as well as exclusive access to digital content on topics of interest to social enterprises and philanthropic entities.